The correspondence principle connects the quantum mechanics with the classical mechanics, the relativistic classical mechanics with the Newtonian mechanics, and the theory of general relativity with the theory of special relativity. These examples give us a scenario of constructing a new theory in the grammatical way. 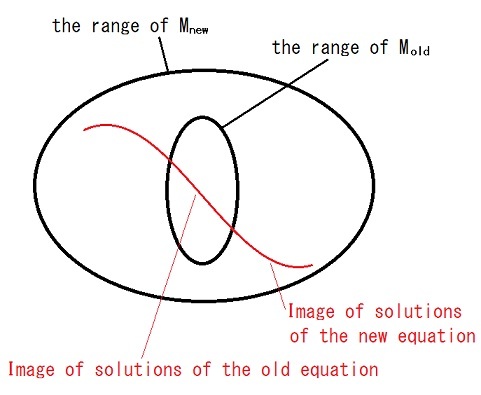 and we adopt it as the equation of the new theory. It reminds me of analytic continuation and Tayler expansion. which is as near to that as possible. but a fault of the condition proposed above by me. An example of making new equation is seen in Uda Equation @ Theory of Quantum History Entangled in Time-like Direction @ Products.